With her Night’s Masque trilogy from Angry Robot Books, Anne has made me a fan of historical fantasy to the extent that I want to check out other novels in the genre. I’ve read both of the books in the series that have been released so far and I’ve enjoyed both thoroughly. The third novel is coming out soon and I’m really looking forward to reading that one as well. Amanda’s Before Watchmen: Silk Spectre mini-series last year was an absolute blast and I had a ton of fun reading those comics. They made me into a Silk Spectre fan. Of course, Amanda is an artist first and foremost, and I’ve had fun reading the comics drawn by her, such as Justin Gray and Jimmy Palmiotti’s run on Power Girl. She has a new comic coming out soon, Harley Quinn, which she is co-writing with her now-husband Jimmy, and I’m really looking forward to that one. I got back into comics last year after a really long unintentional sabbatical. And Arvid Nelson’s Warlord of Mars Volume 1 and Warlord of Mars: Dejah Thoris Volumes 1 and 2 were one of the first comics I read. 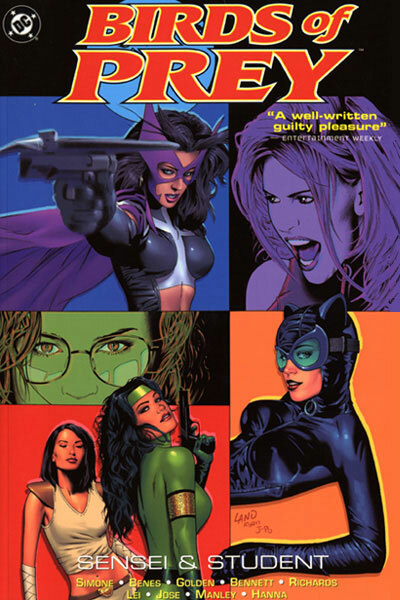 They were really good comics, and they got me into reading Dynamite Entertainment’s various ranges of comics, such as Red Sonja and Silver Star and many others. Arvid has recently gotten back into writing for Dynamite with the Lords of Mars series, of which two issues are already out. I’ve read the first one and its great. Looking forward to reading the second one. Brad’s The Lays of Anuskaya trilogy is one that I started on this year as part of my 25 Series in 2013 Challenge. I was pleasantly surprised with how much I liked the first novel, and I’m going to be reading the second novel next month. Hopefully, I will be able to read the third and final novel, which Brad self-published this summer, before the year’s end. Really looking forward to that. And I’m also excited for Brad’s next trilogy, coming out sometime in 2014 (hopefully), which is going to be another epic fantasy. With his Star Wars comics that are set during the original movie trilogy chronology, Brian Wood has made me a full-on fan of his work. He really gets all the characters he is writing about and the man is simply spectacular at what he does. His creator-owned series for Image, Mara, is also another great one. And just a few months ago, Brian started writing an X-Men comic featuring an all-female team which includes some of my favourites such as Kitty Pryde, Rogue and Jubilee, and the series has been going great. He’s one of those comics writers that I’ll follow from title to title without reservations. Brian debuted this year with his Powder Mage trilogy from Orbit, a gunpowder fantasy that has a bit of a Spanish theme to it. The first novel was pretty good, and I have an opportunity to beta-read the second novel, which is even better, if I do say so myself. I think he’s one of the best and brightest upcoming batch of authors and I’m looking forward to a lot more from him. He’s also a great guy to have genre discussions with, and that’s a great plus. Courtney’s first novel in her Shattered Sigil trilogy impressed me quite highly. It was the first adventure-style fantasy I’d read in a long time and that was a great part of its charm for me. I’ve loved interacting with Courtney in the last year or so, and much as with Brian, I think she’s a great new author to step into the SFF field and I think she’s going to do great things. I’ve been meaning to read her second novel for a while now, just a matter of fitting it into the schedule with all the other books I want to and have to read, so we’ll see if I can get around to it before the year’s up. Clint is one of my favourite writers working for Black Library, especially for their Warhammer Fantasy range of books. He’s the man who made the ridiculous Skaven into powerhouse characters of the setting, and I love all his work that I’ve read to date. He’s recently started writing in the Warhammer 40,000 setting as well and he’s off to a real great start with it. I’ll be reading his second Black Plague novel next month and I absolutely cannot wait. More so since it has a character named after me, a Skaven character, who suffers a most horrible death I am told. Payment for me being a fan of the Star Wars prequel trilogy, which Clint absolutely detests. Fun times! Chuck is a most prolific writer. His work on IDW’s G.I.Joe franchise is absolutely great, apart from the newly-launched Special Missions series which is still finding its feet as a series. As a childhood fan of G.I.Joe in all its forms, I adore what Chuck has done with them. And he’s done some great work on Nightwing as well, one of my favourite DC superheroes, so its all mostly a plus for me. Darwyn Cooke was the writer on Before Watchmen: Minutemen last year and he co-wrote Before Watchmen: Silk Spectre with Amanda. Together, the two of them turned out two of the best Before Watchmen comics and made me into a fan of their work. I haven’t had a chance to read any of Darwyn’s other comics work as yet, but its certainly on the reading list, you can be sure of that. David made a splash writing for Black Library last year and he’s been turning out one cracking story after another. He’s mostly worked with Space Marines till now, of both the good and bad variety and I’ve enjoyed all of it. In particular, his recent eShort for the Angels of Death series was a great teaser for the Space Marines featured in therein and I’m hoping that he gets to work with them some before. I’d really like that. He’s one of the new bold voices writing for Black Library and he’s definitely going places. Much as with David A. above, David G. also made a splash last year, writing in the Warhammer Fantasy setting. I’ve only read his short fiction to date, but I have his first BL novel on my reading list. Although I’m not sure if I’ll be able to get to it before year’s end. In either case, he’s certainly an author to watch and he’s on my radar for sure. He’s taken his first steps in writing in the Warhammer 40,000 setting and that’s just one more reason to read his work. Emma debuted this year with the Split Worlds urban fantasy trilogy from Angry Robot and the first two books have been quite amazing. They’ve given me a taste for regency fantasy and I’m really interested in exploring more of that subgenre. She also hosts an excellent podcast, Tea & Jeopardy where she invites an author week and chats with them for a few minutes and they all even do a bit of roleplay, which is excellent. Her third and final Split Worlds novel was released today so I wish her a Happy Book Birthday once again! I’d heard a lot about Ed Brubaker, especially his run on Captain America and I finally got a chance to get started with those comics earlier this year. I got to say that I definitely enjoyed them; they are certainly better than the rebooted series by Rick Remender which failed to capture my interest from the first issue itself. Time permitting, I’ll be reading some more of his Captain America books in the next three months. Very, very exciting and enjoyable stuff. I hold Frank Herbert’s Dune to be one of the best SF novels written to date. It is a classic that still holds a lot of relevance for me today and my reread earlier this year in January, with a listen-through of the audiobook last year proved to be some of the best experiences I’ve had. For me, Dune is a huge inspiration towards my writing and my enjoyment of the space opera SF genre. Without him, the genre just wouldn’t be the same. Francis is currently writing The Flash series with Brian Buccellato and I’m really enjoying it. I didn’t enjoy the first three issues when I read them last year, but the last few issues have been nothing shot of absolutely amazing, with Francis and Brian both being my favourite writers in comics today. The two of them recently announced that they were ending their run on The Flash with, IIRC, issue #25 and I’ll be sad to see them go, but I’ll most assuredly be following them to whatever they do next. I’ve only read one of Frank’s comics to date, his Penguin Villain’s Month issue and it was an absolute blast I gotta say. He did some really fun things with the character and he’s got another issue coming out tomorrow, this time with the Man-Bat, which I’m really, really looking forward to. I expect some great things from Frank, that’s for sure. Gail is an absolute genius. Her runs on Birds of Prey, and Batgirl have been nothing short of pure awesome, and her current Red Sonja ongoing from Dynamite is turning into one of the best series I’ve read to date. She’s given a whole new dimension to the character and I’m loving it. Of course, she’s been doing some really great things with Barbara Gordon as Batgirl as well, which had made that series one of my top favourites among the New 52 right now. And her The Movement series, which goes very… street-level in terms of the superheroes that it showcases is also proving to be a downright fighter. I’ve learned never to underestimate Gail and she is constantly surprising me. As I mentioned in my comics survey, Geoff is the one writer in comics that I’ve read the most ever since I got back into comics last April. Green Lantern, Aquaman, Justice League of America, Justice League, I’ve read it all, and I’ve been impressed with it all. He’s recently ended his 8-year run on Green Lantern and he is leaving Justice League of America next month, followed by Aquaman soon after, which makes me wonder what he’s going to be working on next. As with Gail and Francis and a few other creators in comics, I’ll be following Geoff to wherever he goes next. Gav Thorpe is one of a handful of SFF authors who’ve been writing for Black Library since its earliest days and he also used to be a games designer and codex writer for Warhammer 40,000. He’s given some of the most classics works in Warhammer 40,000, such as his Dark Angels novel Angels In Darkness and Horus Heresy work has also been impressive. His The Sundering trilogy for Warhammer Fantasy is among my favourite trilogies from Black Library and he’s one of those authors that I can always read without reservations. His swords-and-sandals fantasy for Angry Robot, Empire & Blood, has also proved to be quite spectacular and I’m looking forward to reading the third and final novel soon. 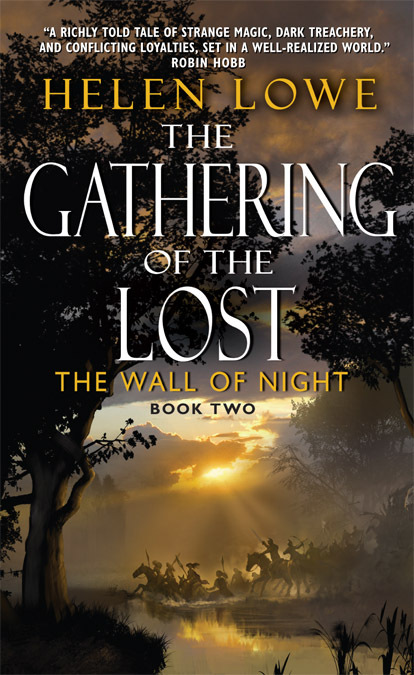 I read Helen Lowe’s debut Wall of Night novel last year, as part of an initiative to read the novels listed on the David Gemmell Morningstar Award last year, and I was blown away with almost every aspect of the novel. I read the sequel earlier this year and it too was absolutely amazing, a much better novel than its predecessor, which was already great to begin with. The third novel comes out in about a year’s time and the wait for it is fairly agonizing. Its just too far for me! Iain’s Culture novels were on my reading list for this year, part of my 25 Series In 2013 reading challenge, and I got a chance to read the first novel at least, a few months ago. Unfortunately Iain passed away rather suddenly, battling an advanced stage of cancer and he is no longer with us. I haven’t read much of his work, just that first Culture novel, but now I’m keen to read more, especially since I liked that first novel. It shows well why he is considered to be such a great influence on the Science Fiction genre, specifically the space opera subgenre. James’ Earth 2 series for DC’s New 52 reboot is among the best series that the publisher is putting out. With its alternate take on most of the superheroes of Earth-2, the series has continually amazed me and it includes some of my favourite superheroes, such as Hawkgirl and Jay Garrick and Dr. Fate. It was recently announced that James is leaving Earth 2 from issue #16, which is out next month, and that makes me really sad. I’m not too keen on the new author coming out. Good thing however is that Marvel has signed James up for a new series starting in late December/early January and I’m really looking forward to that. First with his ongoing run on Thor: God of Thunder and then his Thanos Rising mini-series, Jason Aaron has continued to impress me. This is a guy who gets superhero comics down right and who really understands his characters. His Thor is currently one of the best ongoing comics I’m reading, with one superb issue after another. I’m hoping to pick up his Wolverine and the X-Men series soon, partly in an effort to catch up on the events of one of Marvel’s current ongoing events, and partly because I want to read more of his work. As with some of the other authors on this list, Jean’s Theirs Not To Reason Why novels were part of my 25 Series In 2013 reading challenge. I’ve already read the first two novels and they’ve proven to be two of the absolute best novels I’ve read so far in 2013. The third novel was released in late July and I’m going to be reading it next month, thanks to an ARC from Ace/Roc, the publisher. 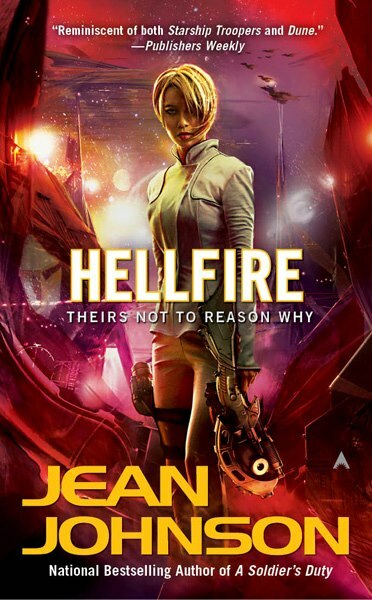 Among all the military SF novels I’ve read to date, the Theirs Not To Reason Why novels have a high place of honor and they’ve made me into a Jean Johnson fan. Kate is another 25 Series In 2013 reading challenge author and I’ve read all three novels in her Spiritwalker trilogy, which have all proven to be rather excellent. I’m certainly keen on reading more of her work, such as her science fiction series Jaran and her epic fantasy series Crown of Stars. She has a really great eye for characters and for doing some great world-building so her novels are always a joy to read. She is easily one of the best writers in the industry right now. Kyle’s run on the New 52 Nightwing has been very good so far. Before that, I’d never really been interested in the character but that’s all changed now. The recent issues have all been rather exceptional and I can’t wait to see what happens next month, especially given the events of Forever Evil #1, which was rather shocking. No deaths or anything, but still some shocking events. And Kyle has recently started on a new series, Batman Beyond 2.0 and the first two issues have been as good as the best that Nightwing has given us so far. Lou has been part of my, shall we say, formative experience reading urban fantasy last year. Her debut was most excellent, with some really fun characters and some really fun events. The sequel, which is already out, is on my reading list and I can’t wait to read it. She is an exciting voice in urban fantasy I think, based on my somewhat limited experience, and she’s an author who makes an impression, who writes memorable books. Always a great thing in an author, especially a debut author. Larry Hama wrote the original 155-issue Marvel G.I.Joe run and for that alone I hold him in high esteem. After all, those are the comics that spawned the toys I used to play with as a kid and the G.I.Joe cartoons that I used to watch. When IDW launched their own G.I.Joe franchise and announced that they would be publishing the G.I.Joe: A Real American Hero series which would continue from Larry’s original run and that the man himself was back on the title, I was ecstatic. I’ve read a handful of the issues so far and I’ve been super impressed. The man hasn’t lost his touch! Matt my most-read author last year, and it looks like it will be the same this year as well. He’s written across all sorts of genres and subgenres and he’s written it all to a high degree of excellent. I’ve certainly enjoyed every single Matt Forbeck I’ve read to date, and they have all been among my favourite reads for those months. I’ll be reading his third Dangerous Games novel very soon and after that it will be his Young Adult trilogy that he wrote after getting it funded through Kickstarter. In fact, he is a Kickstarter expert since he has funded no less than four kickstarters and they’ve all been successful. Superb guy to talk to as well and always helpful. His Magic: The Gathering comics from IDW have also been great reads and have given me a bigger taste of IDW comics. Mike I’m familiar through his work on G.I.Joe, much like Chuck Dixon. I haven’t read too much of his work beyond those books unfortunately, but he’s a writer you definitely want to read more of. 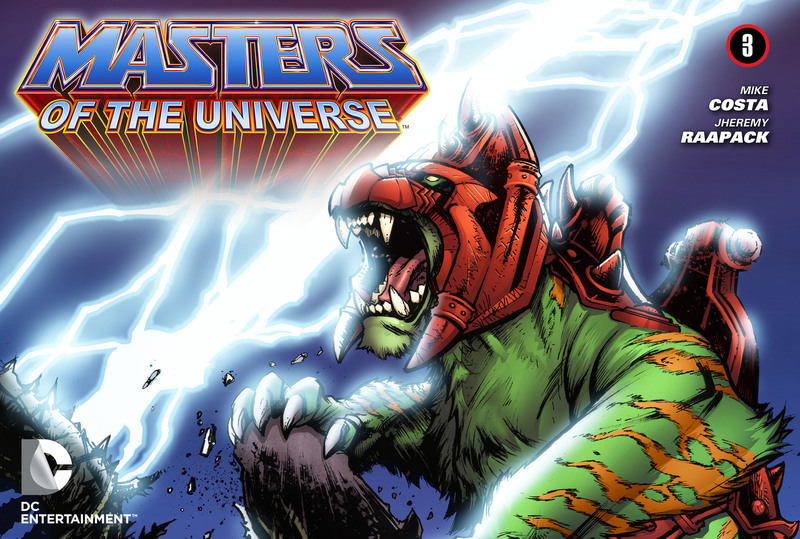 He also wrote the Battle-Cat one-shot for DC’s rebooted He-Man and the Masters of the Universe run last year and it was one of the best He-Man comics I’ve read to date. And it was all written from Battle-Cat/Cringer’s perspective, which was an even bigger point of awesomeness. I really need to read more of his work! 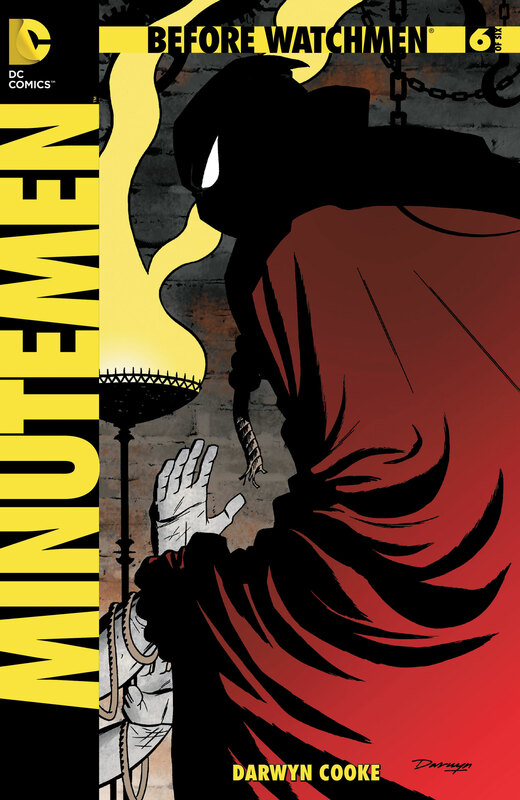 Mateus wrote the 4-issue Teenage Mutant Ninja Turtles: The Secret History of the Foot Clan mini-series earlier this year, which has the distinction of being the best TMNT comics ever. It has an excellent take on the Turtles and does a lot to present a really intriguing and engaging backstory for the Foot Clan and for Shredder. And Mateus drew the issues himself as well, an even bigger reason why I loved the mini-series since his artwork was excellent. Nick Kyme’s Tome of Fire novels for Warhammer 40,000 are among my favourite novels in the setting. They present a really unique and detailed look into the Salamanders Chapter and has given me some really memorable characters in Da’kir and Tsu’gan. And his first War of Vengeance novel for Warhammer Fantasy is also a really good one, easily one of the best WHF novels I’ve read in my time. He’s also recently starting writing in the Horus Heresy and has already had his first novel released, which I’m really looking forward to. Can’t wait! I’ve been reading Nathan’s Warhammer Fantasy novels for a long time, whether its his Gotrek & Felix novels, or his The Blackhearts omnibus or his Ulrika the Vampire trilogy. They’ve all been really good, especially The Blackhearts, which has the distinction of being the first Warhammer Fantasy novels I read. Last year, he published an original sword-and-planet duology, Jane Carver of Waar, which I absolutely adore. Much as with Jean Johnson’s novels, they are novels that are the best I’ve read. I hold out hope that he gets to write some more Jane Carver soon! I got nothing for this one. My first Paul S. Kemp novel was his Erevis Cale Trilogy, set in the Forgotten Realms setting. They were really good books, presenting a very interesting epic fantasy setting. They are the novels that got me started on reading Forgotten Realms novels, and I’ve read a fair few since then. 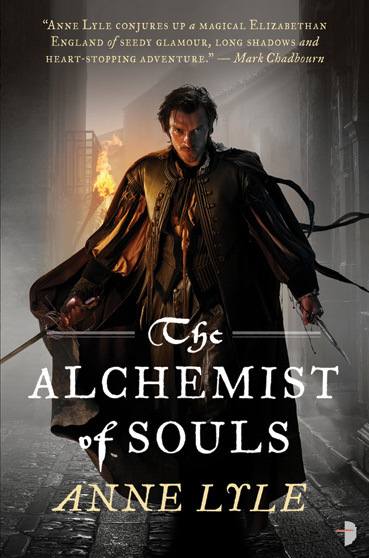 I recently finished reading his Twilight War trilogy, which continues the adventures of Erevis Cale, and he has a brand-new novel coming out in about a week, which I’ll be reading next month sure. Additionally, his original swords-and-sorcery series from Angry Robot, Egil & Nix, have also proven to be good novels that I’ve enjoyed reading. He is a fantastic writer, and his books always entertain. Peter Milligan’s run on the New 52 Red Lanterns has proven to be much better than I expected. I had no idea who or what the Red Lanterns were before I started reading these comics and Peter’s writing has done much to get me interested. Even his rather brief run on Justice League Dark was fairly good, although that could have been a lot better in my opinion. I don’t know what Peter is working on now, and so that’s something that I really need to catch up with. I started reading Ron Marz’s work last year with his Artifacts maxi-series from Top Cow and I haven’t looked back since. I’ve read his creator-owned ongoing series from Image, Ravine, which he is co-writing with artist Stjepan Sejic and comics have been interesting as well, although I’m not as taken with Ravine as I am with Artifacts. Or as taken as I was with Ron’s run on Magdalena, which was far better than I expected and has given me another great Top Cow character that I really enjoy reading about. Rob Sanders broke on to the Warhammer 40,000 scene about a couple years ago and he has been going strong ever since, although there’s been a brief stumble along the way. 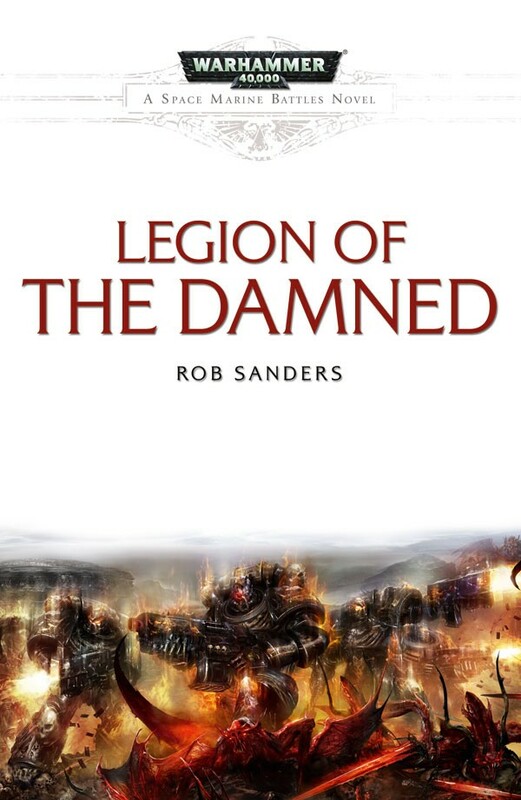 His Space Marines Battles novel Legion of the Damned is one of the best Warhammer 40,000 novels I’ve read ever and I hold it as a high example that other BL authors can well do to follow. He’s been working on short fiction for a while now, some of which I’ve read and all of that I’ve enjoyed, and he also has a novel sitting with the editors, which I’m looking forward to finding out more about. He is an exciting new writer and he really gets into the meat of the setting, and his world-building is excellent. Rachel is another one of my favourite fantasy authors. Her Eli Monpress series, of which I’ve read the first two books, has proven to be highly entertaining, due in part to the fact that Rachel gets the humor element down really well. And her characters are just so enjoyable, with no exceptions at all. She has a space opera series coming out from Orbit very soon, of which the first novel is another one that I’m hoping to read before the end of the year. Its one of my highly anticipated novels for the year, and with good reason because I love Rachel’s writing. Scott’s run on Batman has redefined the character for me and he continues to impress with each issue of the series. He really gets what makes Batman who he is and he has a solid handle on the characters. Among others, he also writes Superman Unchained, a series that started off a bit mediocre but really hit its stride in last month’s issue, and his Vertigo title, The Wake has proven to be one excellent post-apocalyptic sci-fi horror series. He is one of the best comics writers in the industry right now, bar none, well except for Gail Simone of course, and I love his work. Sarah’s debut novel The Gildar Rift was my first review, posted on this blog no less. I’ve read all of her Silver Skulls shorts and I love them all. She has a very fresh, very different take on both Warhammer 40,000 and Warhammer Fantasy, and her fiction is always exciting. I’ve read her non-BL short story, the Ballad of Gilrain, to be found in the Tales of the Nun & Dragon anthology from Fox Spirit, and it is excellent. She hasn’t had a novel out in a while and its been a really long wait so far. Hopefully that moment comes sooner than later. 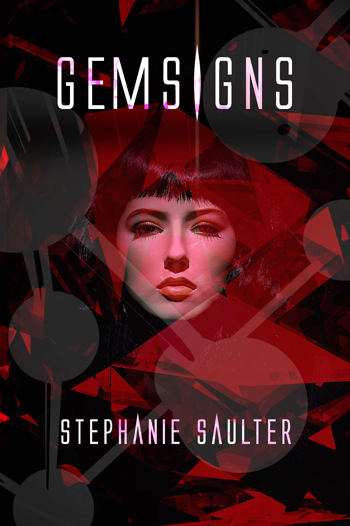 Stephanie debuted earlier this year with a very unique near-future SF novel, one that really struck a chord with me. It presents a very fresh vision of the future and even imparts some great moralistic ideas that extremely relevant today and will no doubt be relevant in the future as well. Like the other debut authors I’ve mentioned in this post, she is someone with a rather bright future and is a writer that I dearly want to read more of. Teresa’ debut novel, Miserere: An Autumn’s Tale, proved to be a very fresh and interesting novel for someone who had been caught in Warhammer tie-in fiction for a number of years. It was dark fantasy with the right amount of dark and the right amount of fantasy, and easily one of my favourite novels from last year. I’m still waiting on a sequel, which I believe she has recently started writing, so that’s something to look forward to in a year or two. I’m excited for that, whenever it happens. Troy Denning is a genius who has written two of my favourite Star Wars novels ever, Tatooine Ghost and the recently-released Crucible. His novels are always an emotionall experience, while also being great adventures that really showcase the setting itself. Much like Timothy Zahn and James Luceno, if a Star Wars novel has the name Troy Denning, then I’ll be lining up to read it. He’s that good, as far as I’m concerned. I started reading Tom’s Vampirella Strikes series earlier this year and I’ve had quite a time with it. I hadn’t really read a Vampirella comic before that one, and I got to say that Tom’s take on the character has been very fun. Lots of action and sass and dark humor, and a really interesting plot no less. I don’t know what else he’s worked on, but as soon as I catch up on Vampirella Strikes, I’ll be reading more of his work. Hopefully. I first read A Wizard of EarthSea and the next two EarthSea Cycle novels some twelve years ago. I reread A Wizard of EarthSea just last week in fact and for me, the novel has held up really well in the intervening years. I’ll in fact be reviewing it soon, so keep an eye on it. Since she has been a part of my formative reading experience, I’m most definitely a fan of her work and once I’m caught up on this series, which will be sometime next year, I’ll be checking out some of her other novels. Wes debuted this year with a really fun contemporary SF adventure with aliens and that book put him on my list of favourite debuts of the year. Wes writes some really light-hearted stuff that makes for an excellent break from all the “epic” stuff that I’ve been reading of late. The second novel in the series is coming out very soon and I’m looking forward to reading that as well. He writes fun stuff. And I need fun reading in my year! Bill’s third Space Wolves novel, Grey Hunter, was my first Warhammer 40,000 novel, and it remains a favourite even now, eleven years later. I’ve had the fortune of meeting Bill, a couple years ago in fact, and he signed the novel for me, which has been one of the highlights of my entire Black Library experience. He is the man who hooked me into Black Library fiction, and for that alone I hold him in high esteem. Of course, he has always written some great enjoyable novels, such as the Gotrek & Felix novels (Nathan Long took over once Bill took a sabbatical from BL fiction), the first Solar Macharius novel, and even his original epic fantasy series, Terrarch Chronicles, the first novel of which was pretty good. I got no author for this one whose name starts with an X, so I’m just going to go with an author with a surname starting with an X.
Selso Xisto is one of the very few self-published writers I’ve read, especially those who have started through self-publishing. His debut novel, Particle Horizon, was an extremely entertaining read, one that reminded me very much of various Star Trek episodes, particularly those from The Next Generation. I haven’t kept in touch with Selso in a while however, and I hope that he’s been busy writing more great stuff! And finally, we come to Zach, one of my close author friends who debuted this year with a novel that was as much fantasy as it was space opera. 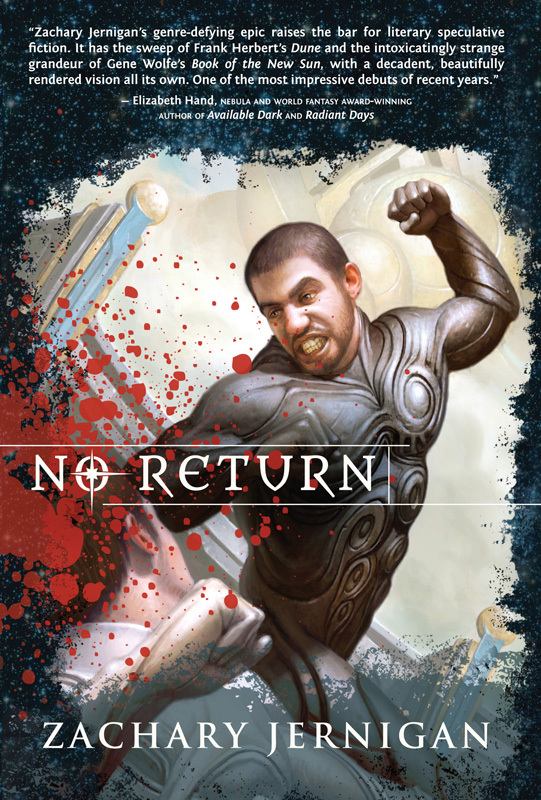 No Return really is an incredible novel and I’m hoping that Zach writes a sequel at some point, even though he has professed he has no interest in a sequel. All the same, I’d love one. Maybe you all can convince him for me? And that’s that for this survey. It has been an absolutely intense post to write, in a single night, for a straight three hours, but I hope you enjoy it! It was fun to write certainly. Posted on September 25, 2013, in Book Lists, Book News, Comics News, Editorial, News and tagged Amanda Conner, Anne Lyle, Arvid Nelson, Book Lists, Book News, Books, Bradley P. Beaulieu, Brian T. McClellan, Brian Wood, C. L. Werner, Chuck Dixon, Comics, Comics News, Courtney Schafer, Darwyn Cooke, David Annandale, David Guymer, Ed Brubaker, Editorial, Emma Newman, Epic Fantasy, Fantasy, Francis Manapul, Frank Herbert, Frank Tieri, Gail Simone, Gav Thorpe, Geoff Johns, Helen Lowe, Iain M. Banks, James Robinson, Jason Aaron, Jean Johnson, Kate Elliott, Kyle Higgins, Larry Hama, Lou Morgan, Mateus Santolouco, Matt Forbeck, Mike Costa, Nathan Long, Near-Future SF, News, Nick Kyme, Paul S. Kemp, Peter Milligan, Rachel Aaron, Rob Sanders, Ron Marz, Sarah Cawkwell, Science Fiction, Scott Snyder, Selso Xisto, Space Opera, Stephanie Saulter, Teresa Frohock, Tom Sniegoski, Troy Denning, Urban Fantasy, Ursula K. LeGuin, Wesley Chu, William King, Zachary Jernigan. Bookmark the permalink. 4 Comments. Hehe, I had to really comb through my reading lists on the blog for last year and this year to make sure I could fill ’em all. I’m thinking of doing a similar survey for characters next. Probably some time next week. That one should be fun.